Thanks for visiting my profile! Learning new things, meeting new people and chatting with friends are things that I enjoy the most. Since joining WA I have made tons of friends here, mostly through the live chat and discussions. I have always been interested in the online marketing field but don't really know where to start. WA is my first online marketing course and I have already learnt a wealth of knowledge from taking the courses and then implementing them. Going forward, I hope to build up an awesome site, get to know friends well and help all those out there who are still searching for answers to building up an online business. Do drop me a line below and I look forward to knowing you better and having great conversations together. Thank you Onebluemoon for the follow. I'm a caricature artist. May I draw you? a caricature fresh from Hawaii. here check it out. It would be an honor to do one. Hi Moon, nice to hear from you. I look forward to getting to know you my new WA friend. Sorry about the delay in responding but I am a bit slow at the moment. Trying to do too many things at once. I see from your badges that you have a website. You have these you might want to think about putting the link here on your profile page. As soon as you have a website your link here let me know so I can return the comment. I haven't been in the chats yet. I'm excited to start my business but there just never seems to be enough time to do anything. Every time I go to work anymore I find myself thinking I wish I was home working on my website. I hope to join Chat soon. We do get overwhelmed when first starting out. I am working on this while holding a full time job too and I find myself using all the free time I have to do this. Maybe it helps to increase our productivity because we have motivation. 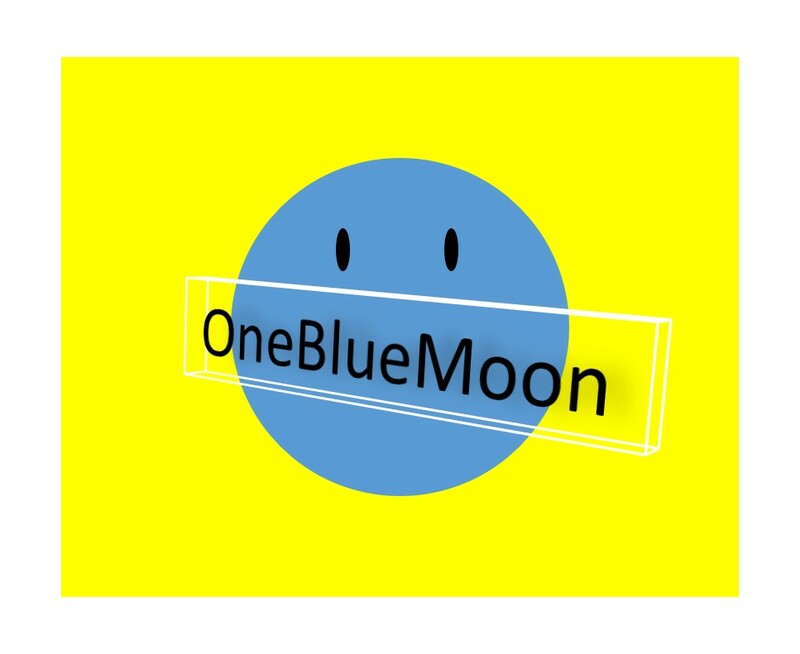 Hi, Onebluemoon (love the name) thanks for following. I'm overwhelmed at the moment by all that's happening or the things I think I want to achieve. From more or less computer illiterate to a website in a few days is a bit of a fast acceleration and I'm not quite sure I'm ready. It's easy to feel overwhelmed as Wealthy Affiliate really offers a lot. Take it in your stride and you will slowly get the hang of things. Don't hesitate to reach out should you ever need help. Hi, I'm Vicky. Can I run an idea by you? I am really good at making scrapbooks. Do you think as my niche, I could use scrapbook dies? It is a subniche within a huge niche. What do you think? Hep me, I'm such a newbie, and unsure of myself. Thank you. Scrapbook sounds like a great niche. I would suggest you do some background keyword research to determine whether it can be niche by itself or a mini-niche. If you are undecided at the moment, how about starting a site using the siterubix first while doing research. When you are more sure, you can then purchase a domain and move your siterubix site over. Hope this helps. Feel free to PM me anytime if you want to further discuss this. Thank you for following me. I have added you to my network. Please check out my website, I am passionate about health/well-being. I will look for you on your social media and look forward to working with you. I am now working on my second website. Thanks for the follow. Looking at your blog posts, you are taking full advantage of WA so I know you don't need help there. What's great about being involved on WA is that it helps keep you motivated. Just make sure that once you feel motivated you use that energy to work on your course lessons and your website. Not sure how far you've gotten on the cert lessons but keep pushing along, don't skip any lessons, and in time you'll realize how far you've come. It happened to me. I'm sure it has or will happen to you. Good luck! What kind of products are you reviewing? If you can get your hands on a products to review, then it's a matter of using them for some time and then sharing your thoughts. If you can't get your hands on products then what you can do is spend some time researching a product. See how the brand website describes it. Are there various types? Price differences? What do people say about them? Pros and Cons? Which one would you get? Hope this helps. Paul Mindra here from limited Blue Moons, Ontario, Canada. What was the reason for choosing me? I have been here since May 2016, and most of the follows/follow backs have had very little meaning other than 'cordial' and to gain rankings. It does not matter to me but I am indeed grateful to make you acquaintance. Welcome. Perhaps we can learn, share and serve together as we all move forward here. Thanks for the follow back. I like to connect with like-minded people and it's my pleasure to have known many here and established good friendships. I believe there is always something I can learn from others, so looking forward to interacting with you. Does anyone ever sleep around here? LOL. Then again, it dependas on what part of the world we are all in. We maybe 000s of miles apart but that will not stop us from connecting with one another and exchanging ideas, thats why the internet is so amazing and why I like being in Wealthy Affiliate so much. I have found so many friends here. I unfortunately joined WA, but did not understand the concept. Green newbie, really! I understand so much more after a journey of three years, but decided to return to WA needing guidance to learn sooo much more. Seems to be a never ending journey. I'm a very green newbie as well. The online marketing world is huge and complex and I feel there will always be new things to learn, so in a sense, I will never leave the newbie status. However, that's ok, as we follow the lessons, we might become experts in some areas and even an authority in our own niche, that is what I aim for ultimately. Do you think this is achievable? Thanks for the follow! Glad it's going well for you in WA. This is one of the most active communities I've seen not just in the I .M. niche as far as training, but anywhere!. I belong to a couple of membership sites, and this is, as I've said by far the most active and most helpful. So, don't be afraid of asking questions. Thank you, all the best to you! Good evening to you Moon, as you know my name is Ken and I not only welcome you to WA but also thank you for the follow. I'm following you back. I have been here since 2014 and I am still here, still learning, gaining knowledge, friends, compadres, and skills. I look forward to working with you and sharing any knowledge that helps to create success. I wish you much enjoyment and success in your online journey. Thank you Ken for the follow back, it is a great pleasure to meet you here. Wow you are a veteran :) I have been here about 6 months and am still learning and following the lessons. Looking foward to having more conversations and discussions with you. Its nice to meet you. I hope that we will get to be good friends on here. I am all new to this so its nice to have so many friendly people I can talk to and get help from. Do join in discussions on my blogs whenever you like, I usually engage with friends this way in WA. Of course, you can also leave me messages here at any time. Hello Moon ... thank you for the follow. There's a lot for all of us to learn and do. Achieving the success we desire will take a lot of patience, persistence, and determination. You have a great spirit and will do well here at WA. I wish you the best on your WA journey. Thanks Dennis for this! I appreciate your kind words. Hi Moon, thank you for your support and follow. I am new to the online business environment and excited to be part of the Wealthy Affiliate family. I see that your must be doing well according to your ranking. To have a ranking of 50 since February 2017 is good going. Congratulations!! Accomplishments of WA members are encouraging to me and also confirm that the WA system is working, provided that we do our part. Wishing you success and lots of blessings with your WA business. When I started with WA I had almost zero knowledge. I learnt a lot from Kyle and Jay. I would suggest you attend the weekly seminars, it is very helpful to newbies. Thank you for the good wishes and best wishes to your success too. Hi Thanks for Followme. 8 Symptoms - answer YES. Focus is to follow the system to create and build a SEO friendly website and get referrals and leads or customer to growth our income. We should never lost FOCUS on our primary aim in doing WA that is to learn, apply and expand our online marketing business. 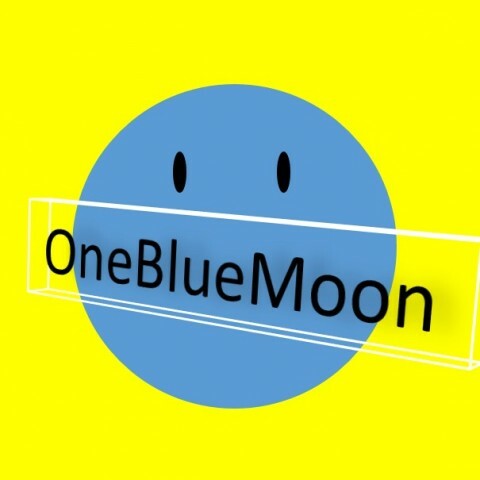 Hi Onebluemoon nice to meet you and thanks for the follow. I hope all is well with you and glad to know you are learning the process. I have had some experience a few years ago but decided to jump back into affiliate marketing because I am preparing to retire from my full time job. Thanks for the follow and best of success - look at what you really want and how you can get there - it's all about your vision and plan of action - what really moves you and excites you - see it feel it and most importantly act on it! That is so inspiring... keep goals in sight! Thanks for sharing your wisdom! You are welcome - I hope it helps! Hi Moon, Thank you so much for the follow, much appreciated. I reckon this is the best place where we can learn and increase your exposure on IM. The training and tutorials are top notches and I believe the WA community is the place you want to be with on your journey to build a passive income. Thank you for following me, Moon! I will return the favour as I am honoured and proud to have you as a follower. Btw: you are number 200! I wish you all the success you are looking for! If I can help you, just let me know! Looking and your ranking it might just be the other way around though. Ranking does not matter here, it just shows I am more active. I am still very much a newbie and is eager to learn from everybody, whatever I can. All the best to you, and greetings from Singapore! What will your niche be? (We got a (beautiful!) singer here by the name of Maan (Moon in English). I must find out how the name sounds like... it looks beautiful! I am currently doing a self-improvement site and promoting WA. Quick question. (Pestering again, seems to be my M.O.) Which color would you suggest? Optimism, Excitement or Trust? I'm looking into the color psychology but not sure which direction to go. Trust comes to mind first, but I'd like them to get excited about the possibility as well. Suggestions????? Getting used to your MO now :) No problem. Black on white works best, just look at WA's site, with a little blue and green. Simplicity is easy on the eyes. You can be fanciful in some posts, make some colorful images maybe? I found out how to change the colors, but the only problem is the "Read More" button now has dark colors with black writing. Another new twist......Stay tuned. You are getting there.... keep it up. It's good to familiarise yourself with a particular theme. Thanks. I had another WA tell me that when reading my pages/posts, it screamed money making. What do you think? I'm thinking of doing something else on another website geared towards men and our hobbies. Something with home-brewing and cigars, maybe hunting and guns. What do you think about that? For sure being here in WA will help to find one's way. It is a lot of work but one learns so much along the way. In case you need a good source for writing have a look at my WA post on the Spanish priest and the world library, amazing info can be found there. Thanx for the follow, returned it. I check in on occasion, if I can I help someone and then I get on with building my business. I regularly leave comments for people and try to help at the same time. My priorities are to earn an income, then get back here to help some more. Once again thanx for the follow. Hi Moon! Just want to say hello and that you are very much thought of. I hope that you're feeling alright and that all is going well in your personal life and also with your web sites. I always enjoy seeing you on chat and you always have nice things to say. You keep taking care of yourself and I look forward to chatting with you soon. I look forward to seeing you. I hope that all is well. Miss you! Your such a nice lady! I have received so many warm welcomes from you all, really really happy!!!! Miss you all lots too :) really glad to be back! You are so sweet to send me such nice messages. Would like to Welcome You To Wealthy Affiliates. I'm glad to be Part of the Team Here, If I can Be if Help Drop Me a Message and I'll get back to You ASAP... I Am A General Contractor Full Time and Working on My Sites Part Time. The BEST OF LUCK TO YOU! Thanks for the encouragement and for your offer to help. I would like offer this help back, if there's anything I can help, don't hesitate to leave me a message at any time. I have removed the comment referring to the registration page which I inadvertently posted here. I believe I was in the process of answering a question you had asked in live chat, but I can't remember what it was about. Anyway, sorry for the confusion, but I do thank you for pointing out my error. hello, thanks for the clarification. Working from the mobile do give us issues from time to time. Dear Moon, welcome to our WA community, you're on the right place to start an online business! Thanks for sharing and for adding me to your WA network, much appreciated. Seems you're doing very well, so keep on track and let's stay in touch. Hi ... I just responded to your comments on Jay's webinar. I also went to your website .... You've been a busy guy, having just joined in February. Site is coming along nicely. I especially like your training on "How to create infographics". Very attractive and creative. I've never heard of Canva. Gonna have to check it out. Thanks. On a related note: You may also want to warn about presenting too much graphic and not enough content. That can hurt your SEO ranking as well. I am definitely excited to follow your progress. Thanks for the visit and this nice message here! I will take your advice and to that. My problem now is my writing is not there yet, most of my posts hover around 400-600 words range, I'm aiming towards the 800-1000 words, and that takes practise. Wish me luck and thanks! It's really lovely to make your acquaintance here, I think you are one of the nicest guy around here :) I thought I had followed you before, not sure if I got kicked out of your network or something. Anyway, congrats on your good results and I see you have made it into Top 100, that's really excellent! yea I have been having the same problem. I follow someone and then later when I check my followers there is the darn green follow under their name. I do not understand it either. I guess there are still some glitches here and there in WA. Some guy was asking how come he only got 94 followers when his profile showed 118, he was mad that people are gone from his network hahaha. Hi blue moon, like your bio and I'm now following you. Just met you in the live chat! Cheers! My friend Robert is just below, he's my brother from another mother,, lol. so I can relate about friendships,. Best to you and you will do great things here at WA. Hi Becky! Nice to receive a message from you. I actually got to know a lot of people through chat, its a great communication tool we have here, and I get to know people better from the things they say and share, so I'm really pleased with that. I'm following you back and here's wishing you success! Hello Moon and welcome to Wealthy Affiliate. Hi Robert, it's my pleasure to learn from a veteran like you, thanks for dropping by. Thanks for your link, very interesting read you have there! perhaps you need to adjust something in the settings? Wow you have a lot of training, will take me some time to go through :) So many of them are what I am having trouble with right now, like content writing, images, and building up a nicer looking site, it's all basic stuff but as I'm new, I will have a lot of ground to cover. Will certainly refer to your training from time to time. I actually know of you from Farid, and he has been a great help to me. I know I will be gaining a lot from you too, so thanks for connecting! Ah, Farid:)) I know him, he's very helpful, did he refer yo to WA? No he is not my referral but we chatted a lot and he's helping me with a theme, I'm very grateful to him. I know he's away for the moment because his mum passed on. I think he went off to Germany, probably will take a week for him to settle things. Thanks for the encouragement and the suggestions! I have received a lot of help here and when I succeed it will be because of the wonderful community here. Here's wishing you success and may you never lose sight of your initial motivation! Seems like you already have some basic knowledge and it will be useful in your online journey, you will just need some nudges in the right direction - follow the training here, and you will progress very far. Here's wishing you success! Hi DJ, I am very new here too. I find the keyword tool very useful and have started seeing organic visitors even though my site is just 1 month old. 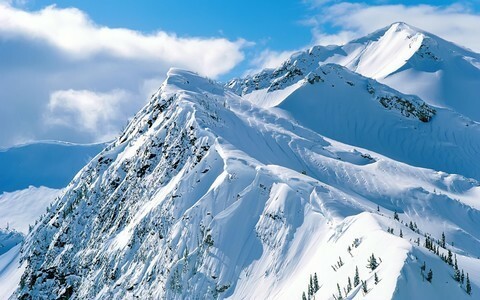 Your site looks interesting, especially the tapping seminar, will explore more. Thanks for sharing! Hi. I just met you on chat! Nice to know that you just recently joined. It's a pretty cool place, isn't it? I think your idea for the parenting and child development website is a great idea. I bet a lot of newer, younger parents would love to get great tips from you! Best wishes! Nice to receive a message from you! It's vibrant here and I enjoy chatting with people. Putting my niche website on hold as I think I need to learn the inside out of building a website first but hopefully I can start on it soon. Thanks for the kind thoughts! Hey there Onebluemoon, and thanks again for all your help with my issue with choosing my own domain for my website. Not too shabby for a newbie. I also want to commend you for your supporting parents and child development and for building a website around it. It would be my personal pleasure to follow you and hope to be a great asset to your online success with the WA. Hey Zoli, you are certainly welcome! Thanks for the encouraging words. I am starting with the WA bootcamp for the time being but will branch out later into my main niche. Thanks for following me and see you around. Hola Moon, Welcome to WA and thanks for the follow. Jan 14, 2017 - Education is the most important factor in human development. ... The Children is a subject that would appear to suit a more youthful statistic than a portion of the more ... Invent – Education Course College WordPress Theme. Please complete the Get Started Here lessons. That is really helpful and informative! I'm going with promoting WA at the moment but eventually I will branch out in my niche. Your recommendations will certainly help me out, so thanks! I know you are just getting started, so if you only have Google for now, that is no problem. I have only set up G+ now, will be adding on my other links soon, and will follow you there once I have them. If you check out my websites listed down on the right side of my profile (scroll to bottom) and leave a comment on one of my sites or follow socially I will reciprocate for sure! The activity helps all our marketing efforts! Good to hear from you. Have just left you a comment on your site, which I hope is useful to you. I welcome any comments on my site too, do drop by to have a look if you can. Thanks so much! I tried to leave a comment on your site but I kept getting a message saying I was submitting too quickly? Not sure what that problem is? I will try again tomorrow and let you know if it works. I know you are new but you should try to lengthen your posts. I go back and read them over and add new thoughts. google likes the activity too! Thanks for trying! Which page did you encounter the problem? Could you provide the link for me to test? I tried it out and left a comment for myself and it seemed to work fine. I will just go back and try again! It went thru this time! Success comes in small leaps? About that length of post feedback I gave this time I got a different feel. Hey thanks for the screenshotI I will make sure to add an image to illustrate my point. Have just added another comment to your site. awesome thank you! are you using the comments and feedback area in siterubix? Also now that I know some friends a bit better, I will go to their websites and comment as a general reader, and get them to comment back. Yes that is a good idea but using the site comments feature you get unique comments on your site as opposed to returning visitors which is a metric that the search engines like. When there you can always say "not interested and go to the next offered site and you can control the type of sites offered to you also! Also remember when commenting on WA sites try to comment on the content in the article not give feedback on the site, Feedback should be given to the website creator outside of the site! there is a difference between Feedback and Comment. Always either put your url in the area provided or send a private message to the site creator that you did a comment! Left another comment ~~ tried to engage you with questions a new visitor might ask???? Moon, I see you are making some good progress through the Affiliate Bootcamp. Just wanted to pop by and see if you need a hand with anything? Anyways, just checking in. Get back at me if you need anything Moon. Thanks much and I hope to learn somemore from you! (1) Avoid overuse of bold within your content. Bold text is very difficult to read and I would avoid using it at all if you can. When you bold something, it's intended purpose is to stand out from the rest of your text and it should be used very sparingly. (2) I recommend that make your home page a blog roll by default versus a static home page. This makes your website feel much more active and engaging and Google actually prefers this as well. Every time you post it will then go to your homepage which is preferable. You may want to consider updating this within your Settings => Reading inside your WP-admin area. Make your "front page" your blog roll. (3) Be thorough with your content. Quality content is content that is helpful and often times means it being thorough. I noticed much of the content was a little too thin on your site, you ideally want to be much more thorough with your content. Thanks for this! I have made a major revamp of my site based on your suggestions, would you kindly look at it again? I am feeling so much more confident with your help here. Yeah, I think it is looking good. I do have a bit of feedback for your website in terms of improvements you can make moving forward. (1) One thing that I always recommend is to "show" people more within your content instead of just "telling" them. By this I mean that you should not just let them know about something, you should walk them through a process. Help them. Use screenshots or images to represent what you are talking about. This will lead to a much more enjoyable user experience and will also lead to much higher conversions. Also within content like this you will want to be a bit more thorough. (2) Focus on getting more comments and engagement going within your posts. This is great for getting engagement on your website (which leads to rankings) and this is what I suggest you do with every new post you build on your website. Armed with everything you are about to learn, you'll have an internet business up & running before you know it! Thanks, there is much I have to learn but I know I have so much support here. Thanks for the offer of help! It's nice meeting you too! Hey Moon, I just wanted to check in and see if had a chance to start exploring Wealthy Affiliate. If you haven't started the Online Entrepreneur Certification Course - that's the best place to start. It'll take you through the whole process of how to start your website and how the making money stuff works. Welcome to Wealthy Affiliate To! I happened to come across your website one cup of tea and signed to the WA site using your link. I'm totally new to online business and am looking forward to meeting lots of new friends, learn whatever I can and build a successful website. Thanks for your reply in advance. See you!